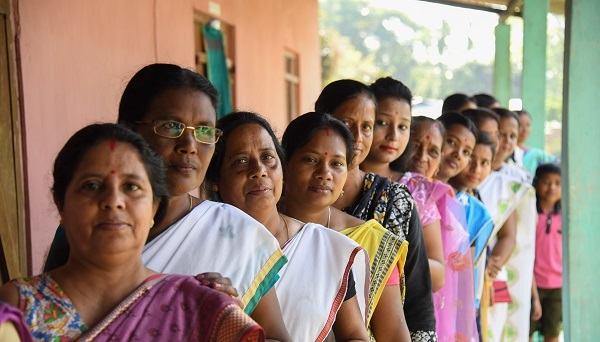 Indian voters queue to cast their ballots at a polling station during general election in Purandudam village, some 140 km from Guwahati, the capital city of India's northeastern state of Assam on April 11, 2019 (Photo: BIJU BORO/AFP/Getty Images). 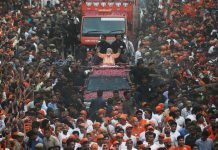 CLASHES between followers of rival parties left at least two dead and several injured on the first day of India’s huge election today (11), media reports said. Firstpost said a TSP leader, Bhaskar Reddy, and YSR worker Pulla Reddy died in the clashes. 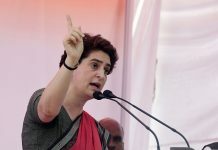 The two parties are in contention for 25 parliamentary and 175 Andhra Pradesh state assembly seats being contested on Thursday (11). Border Security Force troops fired live ammunition in the air after a group tried to vote without the proper documents in Kairana, Uttar Pradesh, according to video footage. The blast killed a state assembly lawmaker from prime minister Narendra Modi’s Bharatiya Janata Party, his driver and three state bodyguards.